SB and NB, respectively, courtesy Doug Kerr. 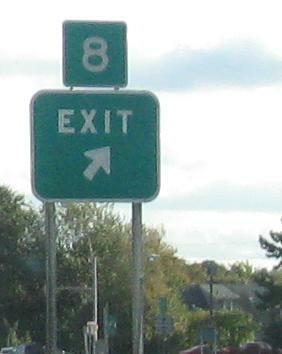 All the button copy on the Interstate (south of I-490 at Exit 5) is now gone. 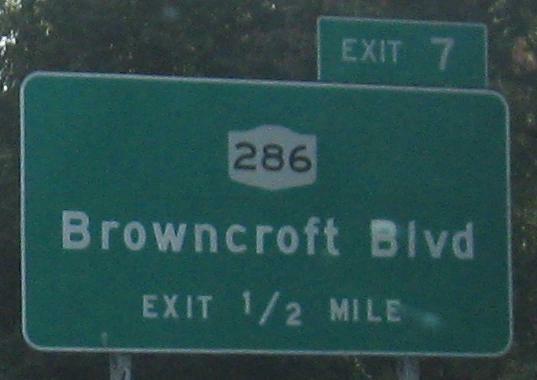 Except this one sign, SB at the southern end, then another one on the ramp to I-390 NB that really could be counted as part of I-390's button copy. 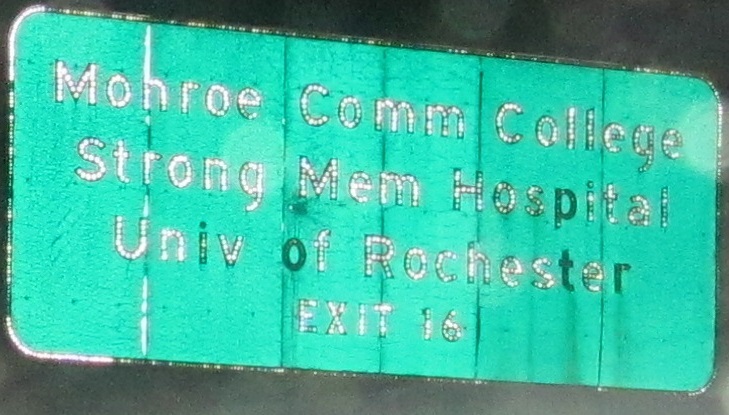 Corning is a leftover destination from NY 15 (and even US 15). 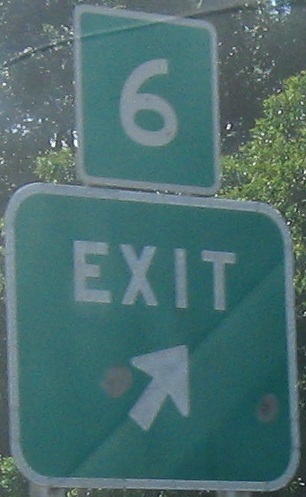 This is the newest part of the Interstate, constructed in 1981, so these signs could possibly be first-generation (or at most second). 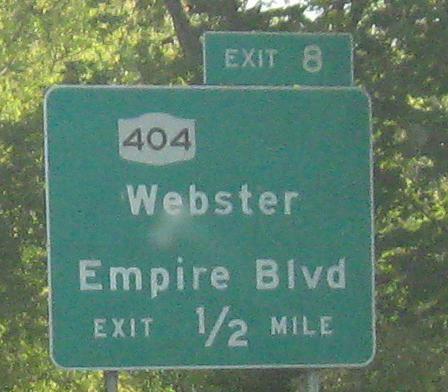 NY 590 SB, as the inadequate shield tells you. 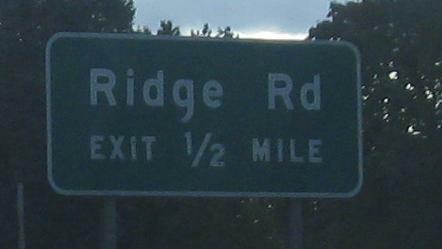 The exits and button copy start at NY 104 - NY 590 flies over Ridge Rd. 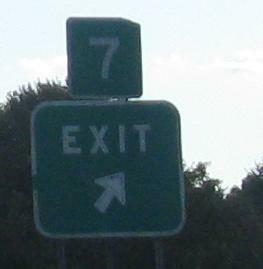 (Exit 11) while in the median of 104, which crosses under Ridge. 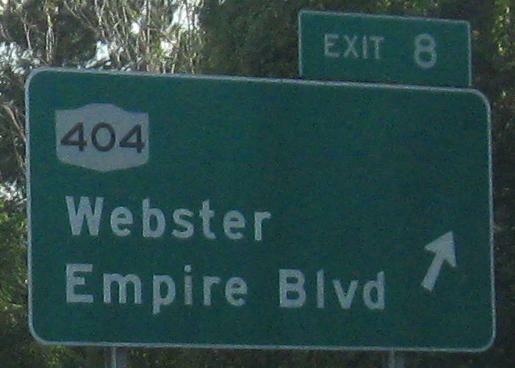 When New York still used button copy, there were no exit numbers on the NY route (only the Interstate), so when exit numbers were extended north, they were tacked on in creative ways rather than order new signs. 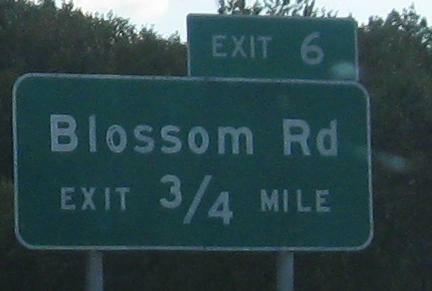 Heading south from Durand Blvd., which was the first chance to enter the SB highway during this phase of construction. 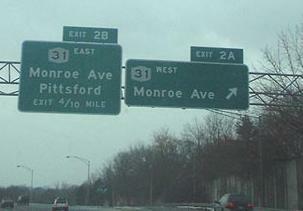 North of NY 104, NY 590 was an at-grade concrete arterial up to Irondequoit Bay, but after heavy reconstruction, it is now one asphalt lane in each direction with pedestrian and bicycle facilities and several roundabouts. During these photos, the concrete on the SB side was entirely dug up to be rebuilt from the base, and both directions of traffic were on the original NB concrete lanes. 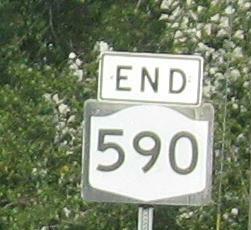 New York ceded the road to Irondequoit and now ends NY 590 just north of 104 at Titus Avenue. 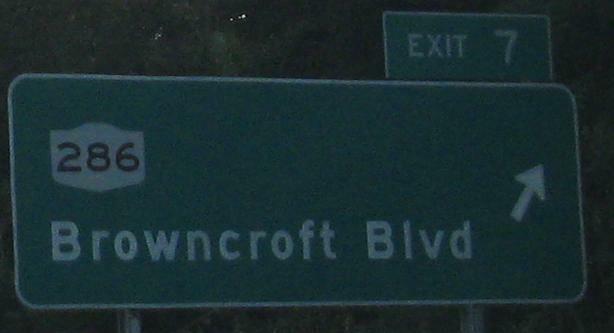 NB from Durand Blvd. The new curb is in on the SB side so you can see how the roadway will be narrower. You also get a different perspective of the rerouted end of the road. 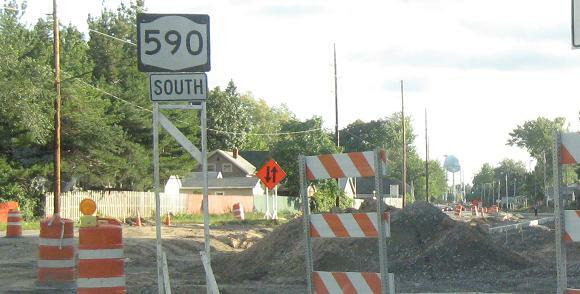 The old beginning of NY 590 from Culver Rd., originally taking NY 18 as well onto what was then NY 47. 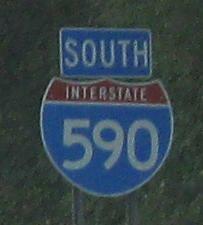 18 was truncated west of Rochester in 1973, and 47 became 590 in 1980. 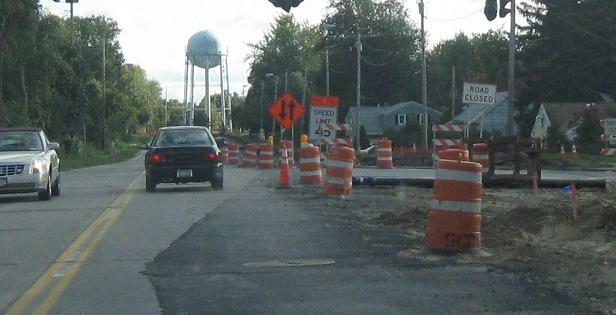 The new intersection is a bit farther west, perhaps to avoid interfering with a few blocks of lakefront homes.